THIS SHOW IS SOLD OUT!! 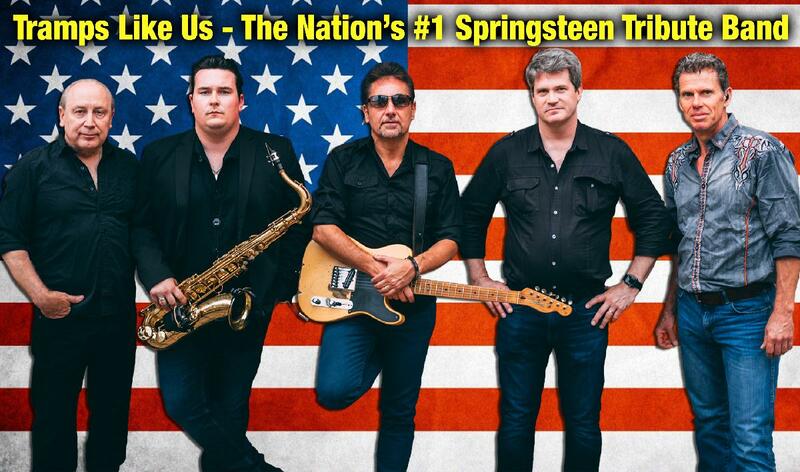 Formed in 1990, Tramps Like Us has performed over 2000 concerts and have rocked over 1 million fans! Rockers and ballads delivered with the raw intensity and swagger reminiscent of the Boss himself, Tramps features a line up of seasoned and professional musicians with a repertoire of over 140 songs.